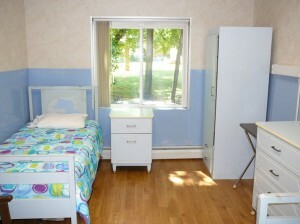 Alberta Manor provides all of our residents with semi-private bedrooms. We strive to ensure the amenity of our residents. If you have any special accommodation arrangements, please speak to our staff. You may call Alberta Manor at 860-296-8050.